Photo courtesy of Shotgun Rider's Facebook. 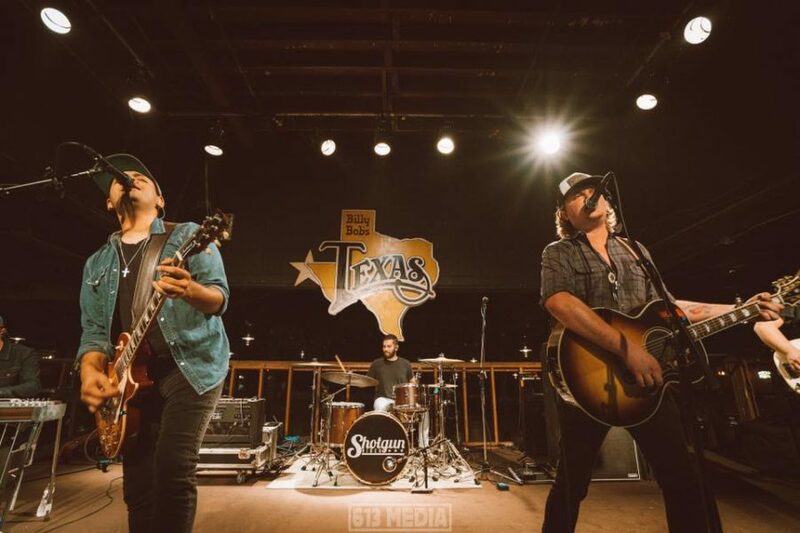 The wait is almost over for Texas Country’s favorite time of year and luckily for fans, musical duo, Shotgun Rider will be taking the Larry Joe Taylors Texas Music Festival stage for the first time ever. The band traces its roots to East Texas where they grew up steeped in old country music gaining inspiration from the landscape and prairies around them. Their sound is a unique blend of different styles. It is definitely country but there are hints of alternative style that come together to make their music special. When describing their musical inspiration, the band said that they, “love all kinds of music but we tend to lean toward George Strait country meets Kings of Leon. We’ve lately been influenced by Post Malone and 21 Pilots,” Shotgun Rider said. Texas has a rich history in country music and as the band has grown more successful, they have gotten the opportunity to meet some of the greats that paved the way before them. In addition to their unique sound the duo’s name in particular is something that stands out and resonates with fans. A few years ago the band decided to rename themselves and after they had already compiled a list, their manager threw Shotgun Rider in at the last minute and it has been made all the difference since then. The duo have their top couple songs that have believe are their biggest hits but they know when they get on stage and start playing there are a few that really get the fans excited. But of course writing an album is no small task and requires a lot of time and energy. According to the duo, “the amount of work it takes to write 10 perfect songs is really challenging. Especially trying to do it between tour dates and weekly runs,” Shotgun Rider said. The band is continuing to play and work hard to fulfil their career goals. The two members listed Larry Joe among the top places they would want to perform at. Shotgun Rider will be making their Larry Joe Taylor Fest debut Wednesday, April 24 on the Bud Light Stage. Don’t miss the chance to see this duo live.